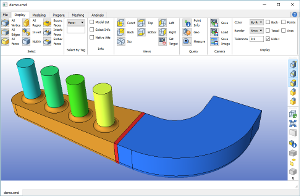 CastNet simplifies the usage of CAE solution technologies for open-source solvers: Beside typical text file editing an alternative GUI based way to work with OpenFOAM® is provided, while still maintaining the full compatibility with standard OpenFOAM® releases. As a result a flexible workflow is established and the user may switch between text file and GUI based case setup at any point of time. 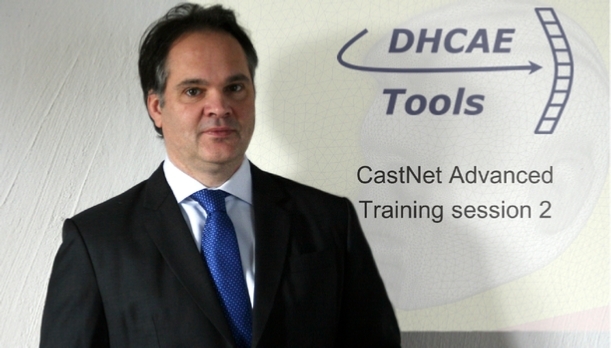 The combination of the powerful open-source solver technology with DHCAE’s professional GUIs for case set-up, meshing and monitoring tools results in complete CAE environment that conforms to industrial standards of high-end simulation tools at a fraction of the usual costs for software licensing. GUI-environment: Establishment of a complete GUI based environment including pre-processing (meshing, case setup), solution monitoring and post-processing. By this: Access to strong open source solver capabilities without editing text files or need to know OpenFOAM®’s keyword structure in detail. CAD based meshing: Provision of access to reliable, stable and high quality CFD and FEA meshing based on CAD kernel geometry. Cross-platform usage: Support for a flexible environment for OpenFOAM® on Windows and Linux operating systems (local, server, cloud). Exported cases are cross-platform and can be easily moved from one operating system to the other. 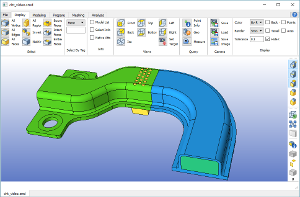 Time effective: Reduction of the time from CAD model to run-ready case in comparison to the direct usage of open source solver technology. 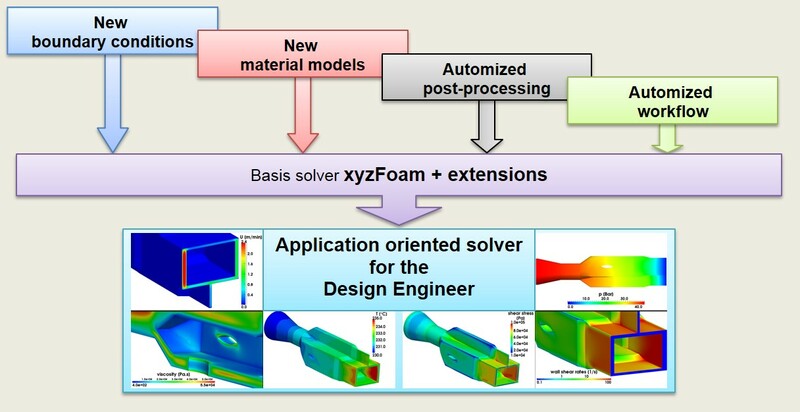 Simplified multi-purpose usage: Easy case setup for more than 30 OpenFOAM® solvers by the delivered comprehensive template library. Reliable simulations: More safety regarding the simulation results by a reliable and stable CFD/FEA analysis with detailed job and convergence control (runGui). 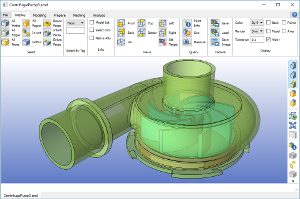 Compatibility: Always up-to-date and compatible to current OpenFOAM® versions provided by OpenFOAM foundation, ESI and BlueCape (Windows). 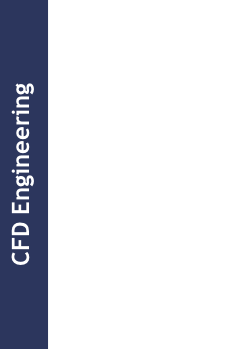 More capabilities: Extending the solution capabilities by coupled CFD/FEA analysis for thermal stresses and mechanical Fluid-Structure Interactions (FSI). 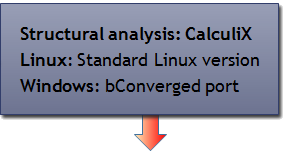 The videos demonstrate the usage of CastNet on Windows (BlueCFD) and Linux. Video 1: Base workflow from CAD import/case setup via job monitoring to post-processing with hybrid meshing for a flow distributor. 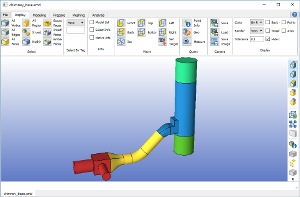 Video 2: Cost-reduction by CFD-optimisation study: Flow into a chimney with CastNet’s CAD model replacements capabilities for Parasolid models. Video 3: Setup of a conjugate heat transfer case. 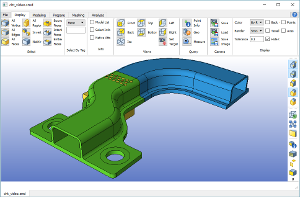 Handling of CAD assemblies in CastNet with demonstration of additional meshing feature. 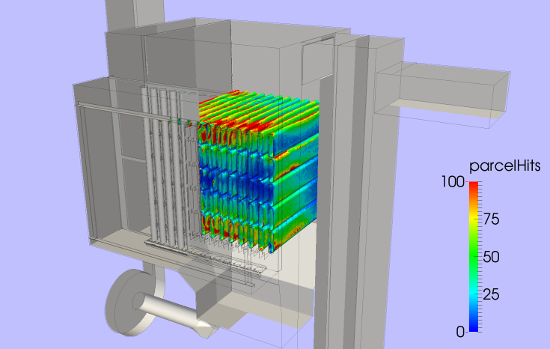 Video 4: FEA analysis (CalculiX ): Thermal stress analysis based on CHT case results. Video 5: Pump modeling for external meshing with snappyHexMesh as optional meshing approach. Model setup without extracting the fluid domain in the CAD system.